Precision-milled Ping Vault putters draw inspiration from their legendary Gold Putter Vault. Improved putting touch and speed control with the patented True-Roll (TR) face technology. 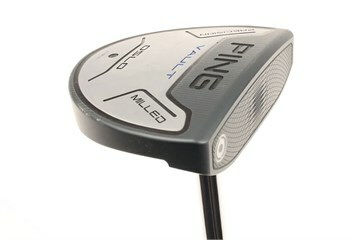 The individually milled face pattern varies in depth and pitch across the face, which speeds up off-center impacts. All four models are offered in a Platinum or Slate finish.